Finally! After several spa treatments and some rest this afternoon, I’m finally ready for real food. 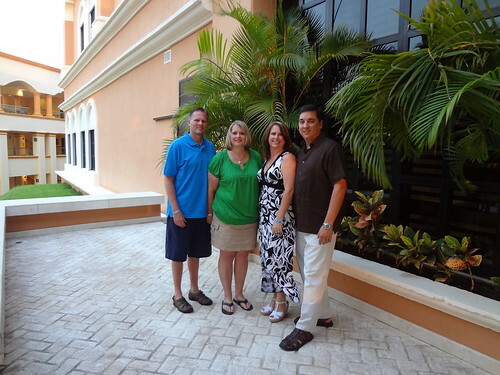 Here we are outside the Aventura Cove side of the resort. My photo for today was so fuzzy. Thanks to Matt and Michelle for providing a backup.